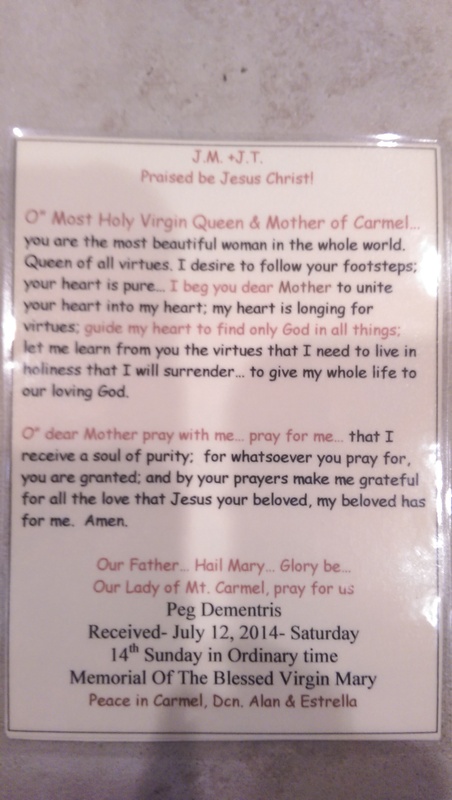 When I was received into the Third Order of Carmel, I received my Scapular, “The Yoke of Christ”. Also, I was given a prayer card. When I got home after the beauty of the day, I read it and much to my surprise I noticed my name was spelled wrong. An “N” was placed in the center of my last name. As I pondered it, I heard our Lord in my heart tell me to look up the meaning of “N” in Hebrew. So I did. We are untied in Christ. “Be not afraid”. 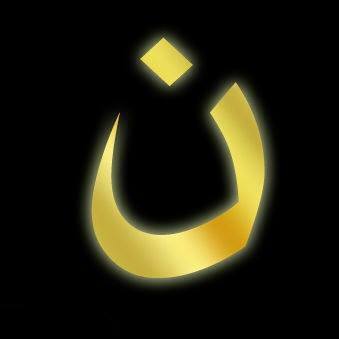 Nun (ن), the 14th letter of the Arabic alphabet (the equivalent of letter N in our Roman alphabet), is the first letter of the word Nasara (نصارى : Nazarenes), the way Muslims have called Christians since the beginning of their invasion of the Christian world in the 7th century — Christians under Muslim rule never called themselves thus, since the intent of Muslims was to portray Christians as a contemptible and disobedient sect.